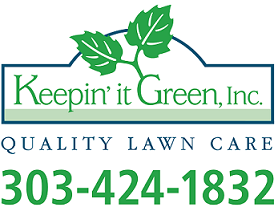 How Landscaping and Hardscaping Increases Home Value - Keepin' It Green Inc. The next time you step outside your home, you might want to take a closer look at your property's landscaping and hardscaping. Upgrading a home's landscaping from OK to WOW can increase overall value from 10-20%, according to research from Virginia Tech. Landscaping goes beyond just plants and shrubs to hardscaping, which includes retaining walls, patios, walkways paver driveways and other man-made improvements to your outdoor space. There are thousands of landscaping ports on the web. You might try searching landscaping and hardscaping ideas. A landscape contractor or landscape architect can work with the client to generate a detailed plan. Typically, the homeowner then hires a landscape contractor to carry out the installation. A truly professional landscaping firm can do both. It goes without saying that you need a design expert. Like any home improvement project, consider this an investment-find the right professional who is knowledgeable, skilled and eager to cooperate. Be honest- if you do not have the time or the inclining to maintain your project, ask about low-maintenance vegetation and easy-care hardscaping. You and your landscape contractor should expect to walk the property a few times. There's more to the project than adding; you'll want to determine if there are dying trees or overgrown shrubs that need removal. And the pro will point out areas of problematic grading, irrigation needs and items that may require just a bit of refreshing. A great landscaping professional will look at areas that can be enhanced. Discuss a new walkway, an upgraded patio or stairway, plants that complement the look and feel of the project, and exterior lighting. Exterior lighting not only adds to property value-it provides increased security for your family. A pro will offer advice on up-lights, down-lights and tree lights. One of the most significant mistakes any homeowner can make is landscaping and hardscaping bit-by-bit with no plan. A purple petunia here, a patio there, a red maple in the middle of the front lawn. Lack of a proper design will end up in a property that looks thrown together and could negatively impact your home's value. An expert landscape designer can craft and implement plans that provides a stylized look. Keeping on track with a professionally prepared design will not only result in a stunning property-it will keep the project on a pre-established budget. It is important to care for your landscaping investment and keep your property looking its very best. A landscape company can help you with maintenance needs. Today's homeowners lead busy lives. A professionally landscaped property is a sure ticket to quick resale. It gives a home curve appealing, a sense of place and value. Remember, it does not all have to occur at once. Many homeowners choose a 5-year plan that matures at varying intervals and allows for a variety of features over the years. Homeowners can keep to a budget-both time-wise and cost-wise-while working towards a beautiful landscape and hardscape renovation.